If it seems like you’ve been hearing more industry buzz about ALTA Best Practices recently, you’re not mistaken. Although the American Land Title Association (ALTA) first published its Best Practices in 2013, they didn’t begin to gain serious traction until 2016. Why 2016, you ask? After the Consumer Financial Protection Bureau (CFPB) amended Regulation X in 2014 to include a provision holding mortgage lenders liable for the quality of work produced by their providers, many lenders decided to mitigate their risk by producing that work in-house. From the period between Q1 2015 and Q1 2016, though, the number of mortgage defects doubled in the categories of Legal, Regulatory, and Compliance. As lenders were faced with evidence of the dire failure of their attempts at in-house production, many began to search for a reliable way to vet title agents, settlement agents, and other professionals involved in mortgage production. ALTA Best Practices are industry-developed practices aimed at creating a reliably trustworthy process across the mortgage production industry. Once lenders began to take a greater interest in finding such a benchmark, they contributed to the development of versions 2.0 and 2.5 of the Best Practices. One drawback to wide-scale adoption of the Best Practices as an industry-wide benchmark is the lack of a definitive certifying body; ALTA itself does not issue certifications, nor do any government agencies at this time. 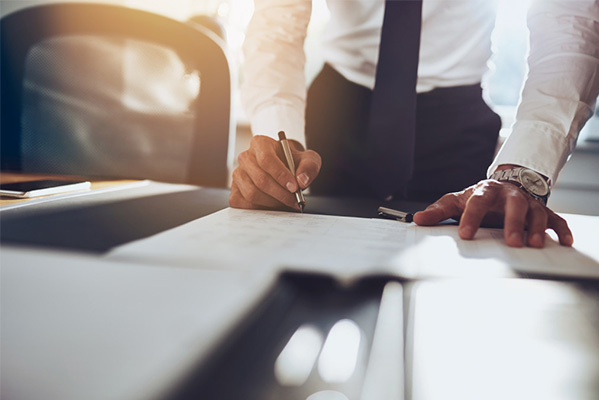 Agencies who want to market their services to lenders as ALTA Best Practices-compliant must either self-certify or submit to third-party assessment and certification, often by a specialized CPA firm. ALTA offers guidance and resources for self-certification, which may seem the simplest and most cost-effective route at first glance, but it’s important to note some potential pitfalls. First and foremost, not all lenders will accept self-certification. Next, it’s critical to understand that while there is no legal requirement to comply with the Best Practices, once your firm delivers a certification package to a customer, you are legally liable for actually doing what you’ve certified. That means training everyone in your firm on the procedure manual, continually verifying that the practices are being followed consistently, and notifying your customers any time you update the procedures you certified. The CFPB has begun making routine audits of mortgage lenders and their service providers to ensure end-to-end compliance with TRID. They’ve also begun enforcement against firms that certify certain procedures and do not follow them. Third-party assessment and certification is a more costly approach, but may ultimately provide the better value because of the greater perception of trustworthiness of an independent assessment. It’s a more “open-handed” way to represent the integrity, practices, and procedures of your firm and, for that reason, is likely to prove a more persuasive instrument. If you’re a professional involved in the mortgage production chain, your business is affected by ALTA Best Practices, whether you’re aware or not. If you’re planning for growth in this industry, you’re going to need to build your firm’s image as a trusted partner, and Best Practices certification is one of the best ways to demonstrate to lenders and consumers that contracting your firm reduces their risk and protects their interests.